From an American perspective it may seem odd that our graduating students here at Justo Mwale University finish their coursework in November, begin serving a congregation, and then come back in May to graduate. For Sherri and me, though, the timing is a blessing because it affords us a wonderful chance to connect with graduates who have been away ministering for several months. Dustin, Sherri, Clayton, and Christopher…with Darrell, the cat (Photo by Buck Cochran) On May 9 we had our first graduation ceremony under our institution’s new name, Justo Mwale University. The school has transitioned from Justo Mwale Theological College to what Zambia’s government calls a “university college,” to a full university. We are now a (small) university. Our main work is still to prepare people to become pastors in countries throughout Southern Africa, but Justo Mwale has expanded to train lots of school teachers through distance and semi-residential education in order to meet a need for more highly trained teachers in Zambia and also to help the university be financially sustained through the tuition it receives. The graduation was a festive occasion, with 14 students graduating from our main full-time Bachelor of Theology program, and another 123 graduates of short-term distance and semi-residential programs. Sherri and I were able to spend time with some of the returning students. I want to share a couple vignettes of what our new graduates are already doing. One young woman, Naomi, is a solo pastor in a rural village and had 995 people in worship for Easter. Her congregation also held a crusade week leading up to Easter, with about 1,100 persons involved. Naomi invited a fellow 20-something-year-old student named Elizabeth to come help lead this crusade. Elizabeth, though only in her third year at Justo Mwale, preached three times a day for four days at the crusade, and apparently there was a huge response. Many people were confessing their use of charms and magic and asking what to do, especially in cases where some members of a family still wish to use these means of gaining success and blessing while other family members are hoping to renounce them, as disciples of Jesus. I take a special joy in hearing about Naomi and Elizabeth because both have been in my weekly preaching practicum for at least two years; I’ve debriefed numerous sermons with each of them. It is exciting to hear how both are now impacting hundreds with their preaching. Another young graduate, Moses, shared that he is the pastor of a congregation with 21 meeting sites. The average location has about 100 adult members, not including children. In a country where 50 percent of the population are under the age of 16, and where rural families tend to have six or seven children, this is a huge congregation for a brand-new seminary graduate in his 20s. Moses ministers to thousands of people as their only ordained pastor. I know these people are so blessed to have Moses; Sherri and I came to see his solid Christian character during his years at Justo Mwale. A Presbyterian church in North Carolina just gave bicycles to him and the other new pastors, and his smile was huge while speaking of this bike. Now he has a way to move between his 21 church locations with far more efficiency. The new graduates are not without anxieties. In their last academic term, from September to November of 2014, I studied Hebrews through Revelation—the last fourth of the New Testament—with them. As we sifted through the biblical material, the students kept noticing these books’ concerns with false teaching. One student, named Peter, said, “If we are not careful, we may be misled.” A student named Mary repeatedly asked for prayer for the graduates’ discernment, and that they won’t be “derailed” as teachers and preachers. Another, Jacob, expressed worry that the church is concerned with artificial things instead of with the truth. Another articulated that pastors can easily be rejected by congregations if they don’t say what the congregation wants to hear about acquiring wealth through Jesus. Another named Blessings said the course had come at just the right time, as they headed into their congregations. One of their biggest challenges is that they are under heavy pressure to preach, as the core message of the Christian faith, that Jesus Christ is like the charms and magic that the new African believers are leaving behind—except more powerful. Christ is the best and fastest ticket to get what you want: health and success for you and your family. Christ is the sure path to blessings on earth, and the sure path for avoiding the curses that can come one’s way in this life. This message is not entirely wrong, but our students spend two to four years sorting through it while at Justo Mwale, learning to nuance some aspects of it and reject other aspects outright. Nevertheless, when they go out to their Presbyterian and Reformed churches and they preach a message that sounds different from the prosperity line of thought, they feel that they put themselves and their families at risk. Just this week a Zimbabwean student was sharing with me that he understands that what counts is God’s approval, not people’s. Then he asked: But what do I say to my family when the congregation doesn’t pay me? Many of our students and graduates say they are paid by their congregations only if they preach prosperity, or at least they are paid far less if they do not preach current blessings and prosperity coming (rather like magic) through the power of Jesus. The church in Southern Africa is filled with life, growth, and promise, but also with danger and vulnerability. Please join us in praying for our students and graduates. They desire prayer for discernment to know the truth, to be established in the truth, to walk in the truth, and to preach the truth they have found in Jesus Christ. Sherri and I also want to express our gratitude to all of you who pray for us and provide for our ministry. 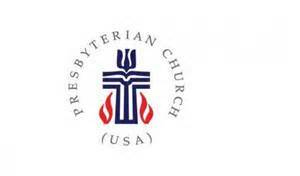 Presbyterian World Mission, our sending organization, is facing serious financial shortages and may need to release 40 of its 160 mission co-workers in the next two years if the funding situation does not improve. 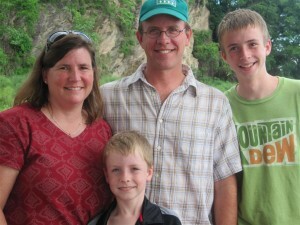 Please consider a gift to support our ministry in Zambia. Please consider also a general gift to Presbyterian World Mission for the support of all its mission co-workers. We are so grateful for all of you who stand behind us and our fellow mission co-workers around the world.